Confession: for every book I read start to finish, there are is another book (or two) figuratively marked with a glaring DNF. I have no shame about the Did Not Finish category. I know some people feel if they start a book, they must finish or else it’s all been a waste of time. I prefer to take Thomas Edison’s view, though: he discovered 10,000 ways not to invent a light bulb, I have discovered 10,000 books (er..maybe a few less) that I didn’t want to spend time reading. Unless a book has inherit merit (say, you promised a friend you’d read it, or it’s on your syllabus, or it’s The Bible, for instance), I say, feel free to cast it aside! How many books would I never discover if I was too afraid to pick up a book because I knew I was going to make myself finish what I started? To prove I’m serious about this, I’m admitting today that I started and didn’t finish these four very popular books this summer. (please note: these are the books I did not finish just in the last two months. There are tons of others). Go Set A Watchman – Okay, don’t judge. I read this book through more than halfway, and I really appreciated the look into the way an author can develop characters and they can morph into people the author didn’t set out to create at the beginning. It really is like reading a first draft of To Kill A Mockingbird. I can totally see why Harper Lee’s editor suggested a re-write from Scout’s childhood perspective, for those were far and away the best parts of Watchman. You can’t read this book as a sequel. It’s separate, it has hardly anything to do with TKAM. I read it out of curiosity, but when my curiosity was sated, I didn’t find anything in it to keep me going. The Book of Speculation– So morbid and dark! Tarrot cards, curses, babies abandoned. Not my cup of tea. I kind of wanted to know what happened, but not enough to endure through the end of the book. Maybe I should have skipped to the end? I was afraid of the end, though. It’s better not to know, sometimes. Plus, the cover ends up having nothing to do with the book. A misleading cover is such a bad start to a book relationship. In The Unlikely Event – I may pick this book up again one day, but right now I cannot handle any more books that shift their points of view. I counted twenty different points of view in this book. Twenty! Judy Blume can get away with it, because I’ve heard from so many people that this is a really awesome book. Right now, I just want to get sucked into a character and a story and stay there, please? Alright? Alright. The Nightingale – I will read this book one day. But this was about the 4th novel set in WWII I picked up this summer and I just could not go down that road again. I’d love to know any reader’s thoughts on this book. 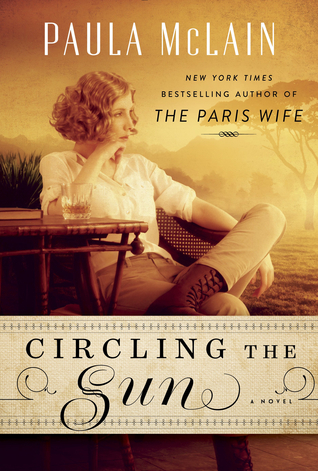 Circling The Sun – This is another book I may go back and finish. It was a hard week when I started this one, though, and I could tell by the first five chapters that this one would have some harsh word pictures in it. I needed soft, like Miss Read or something. So when it came due at the library, I gave it back only 1/8 done, vowing to go back to it one day when I was ready for the grit of African soil. I’ve heard so many people say it’s amazing. I make myself feel better by chanting, “I have read Beryl Markham’s true memoir, I have Beryl Markham’s memoir on bookshelf, I am not a phony book lover, I am not a phony book lover…” It sort of worked. How do you feel about starting and finishing books? I have recently done a complete 180 on this topic. I ALWAYS finished the book I was reading. ALWAYS! But lately, I realized that there is so much out there that I want to read, I can’t bring myself to make those others wait while I slog through a book I have no interest in. 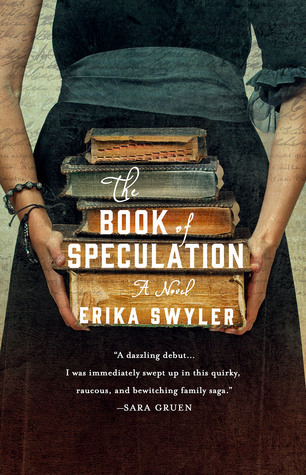 And I totally agree about the cover of the Erica Swyler novel. VERY misleading. And that is uncool. I appreciate your approach. Makes a better use of time. Wish I had had that perspective on a few books I felt compelled to muddle through! Just to finish was not satisfying enough to keep going! I really agree with this! I’m trying the famous “50 page” test on books these days, though sometimes it only takes me a chapter or two to decide this isn’t the book for me. I’m also trying to get more books from the library, especially for authors new to me, because while I want to support authors and real books, I don’t want to spend money on books I don’t want to read.